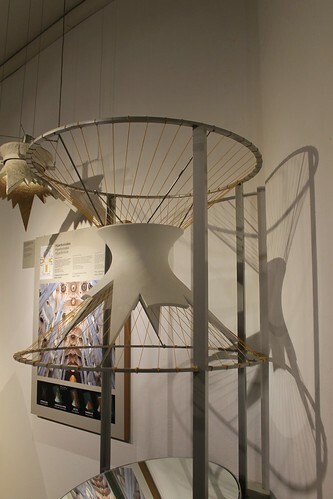 In the basement of the Sagrada Família is a model of a church that Gaudí designed – upside down! 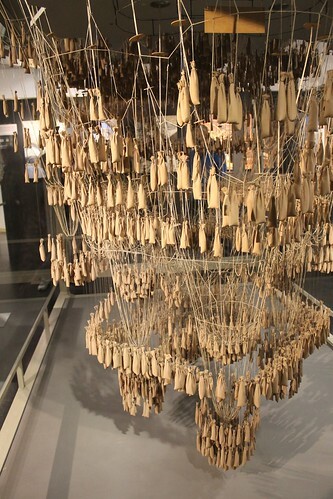 The model of the unfinished church at Colonia Güell is made out of strings and little weights. The weights pull the string into the shape of the final building. Gaudí designed the Sagrada Família by similar gravitational principles, although he didn’t build the entire cathedral upside down out of string. The exhibit in the basement shows a bit more of the math and science behind that construction. He wasn’t just inspired by physics and geometry in his architecture: Gaudí’s creations were also often based on biology and nature. 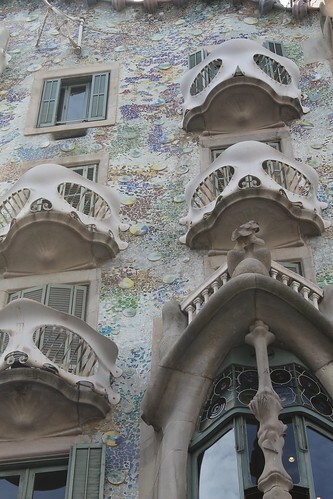 You can see that most clearly in the skeleton-inspired balconies of Casa Batlló. 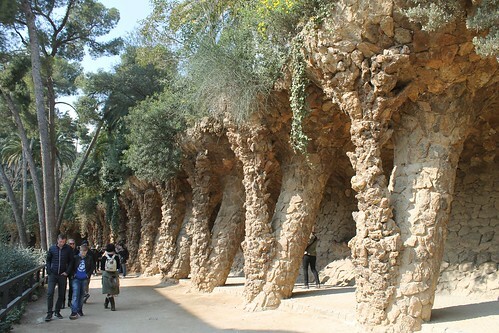 It’s also noticeable in Park Güell, which seems to be part of the hillside, rather than built on it. 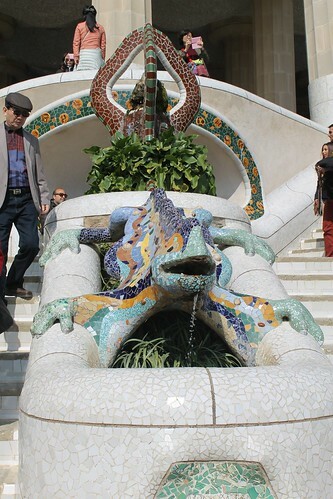 Barcelona has other science-themed destinations (including many museums), but Gaudí’s work is everywhere in the city, and he brings the science right into the very framework of the buildings. This entry was posted in Have Science Will Travel, The Art of Science. Bookmark the permalink.